When I was a kid we never went out to eat because we didn’t have the money. Now, since my husband and I both work, we can go out to a restaurant occasionally. But now the problem is, sometimes the kids don’t like to behave. 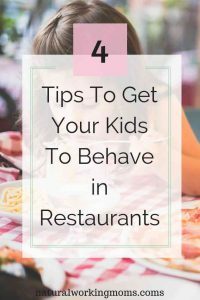 So here are some tips to get your kids to behave at restaurants. Just some things we have learned over the years to not get the stank eye from fellow diners. Even if your kids don’t order off the kid’s menu, always get the kid’s menu because it is usually some sort of activity sheet. Most of the time it is just something simple like a word search and a coloring sheet. But my kids always look forward to these because it was something different. They know that when we go to a restaurant, they will have a little activity to do, and it will keep them occupied. So just one tip to get your kids to behave at restaurants. With that kid’s menu, I always have the boys look at it and decide what they want to eat. That is the first thing they do before they get to do any of the activities. Once you walk into a restaurant, the timer starts for how long your kiddo is going to be occupied. So you don’t have time for the waiter or waitress to come back multiple time while your kiddo tries to decide what they want to eat. My sister always does this, even with my nephew, who is 19 months right now. She asks him if he wants grilled cheese or hot dog for example. She gives him two choices since he is little, but as he gets older he will be used to picking out his order. This way, hopefully, he will have some ownership in what he picked and will eat it. And he is still cute, but eventually he will not be as cute and will need to sit and eat. Also, I let the boys order whatever it is they want. If they want the chocolate chip pancakes for dinner, then that is fine. 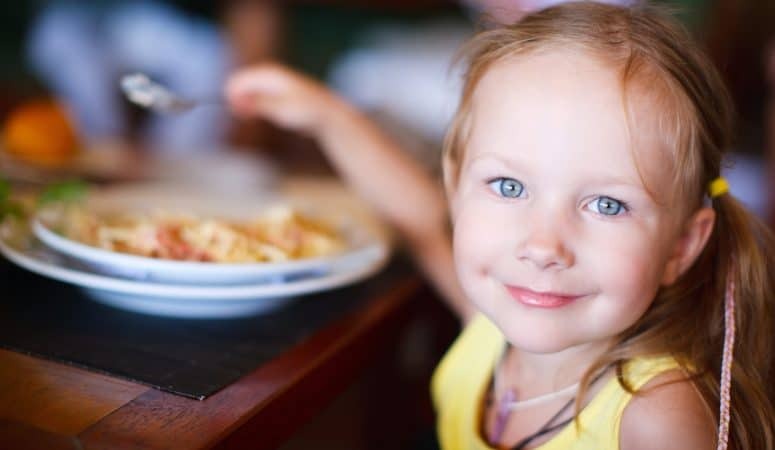 Because you are at a restaurant, do you really want to start a fight about what your kiddo is going to eat? Plus, the rare times you get to go to a restaurant, it isn’t going to hurt your kiddos to have one rare meal of chocolate chip pancakes. From a young age, I have always let the boys actually order their own meal from the waiter or waitress. Since they have learned to talk, they have ordered their own food. This has them be responsible for their own meal, plus learn social skills. They learn to get comfortable talking to adults. 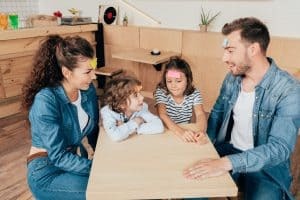 One of the great ways to get your kids to behave at restaurants , once they have gone through the activity kid’s menu sheet, is to make up quiet games to play with your kids. I play endless games of tic-tac-toe with my boys at restaurants. And my husband, who is the best at coming up with games, made up the squiggle game where one person draws a squiggle and then the other person has to draw a picture around that squiggle. This has kept my youngest son occupied for hours at restaurants. These are just four tips that kept us away from many temper tantrums in restaurants.